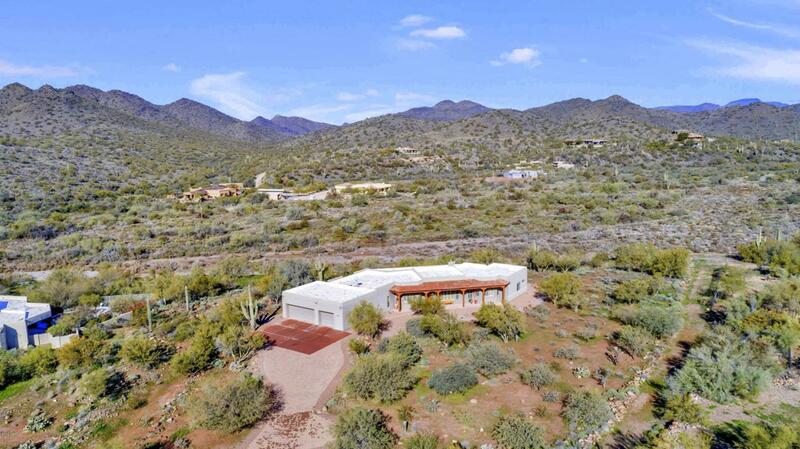 Panoramic,breathtaking mountain views from pristine custom home located by 15 acres of preserve land. Rare Lot actually overlooks the legendary CREEK! 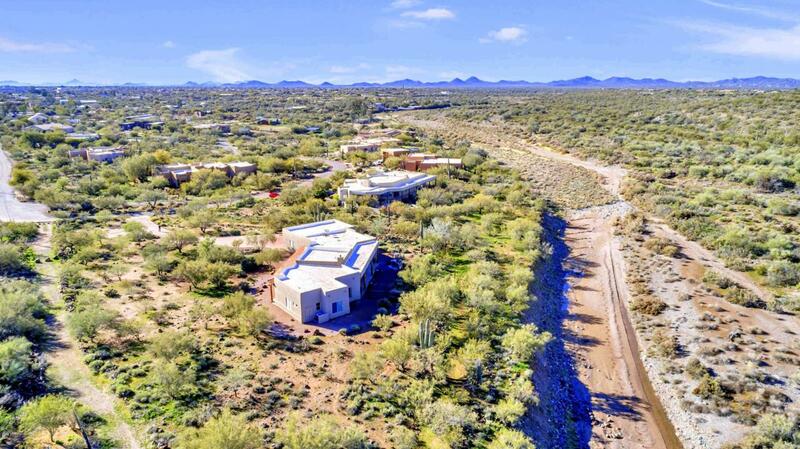 Property is nestled up to the Cave Creek Recreational Area with miles of hiking, mountain biking & equestrian trails right outside your door.Quiet, secluded neighborhood with 11 custom homes. 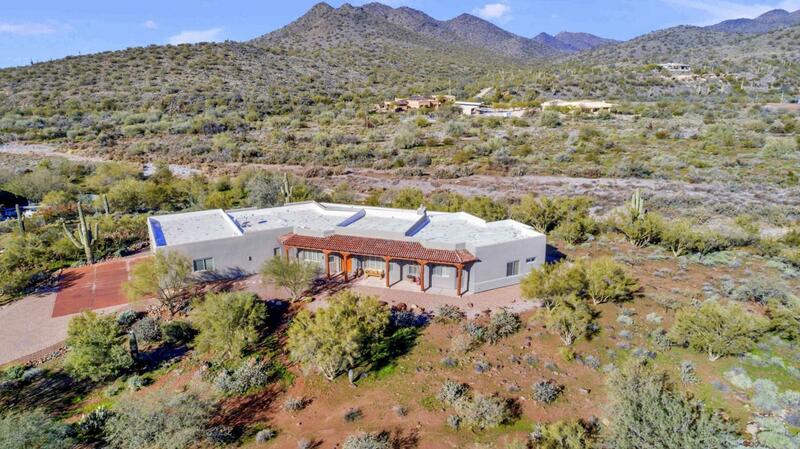 Territorial/Santa Fe home w/4 bedrooms, 3 1/2 baths, exercise room or office off Master bedroom. 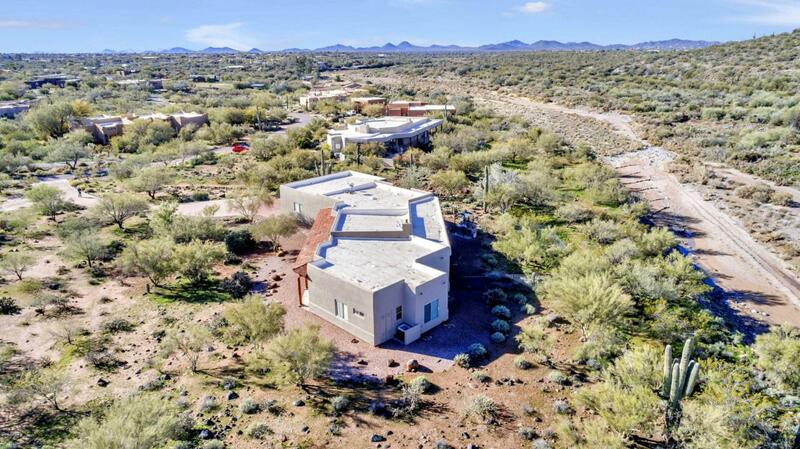 Features include dramatic log beams in the Great room & patios, beehive fireplace, tile floors. Kitchen with large island for family and friends to gather around for great entertaining-Hickory cabinets, granite countertops, SS appliances & walk-in pantry. Large inside storage room & spacious 3 car garage with oversized doors.All rooms (not baths) have views! Cross Street Carefree Hgwy. & Cave Creek Rd.